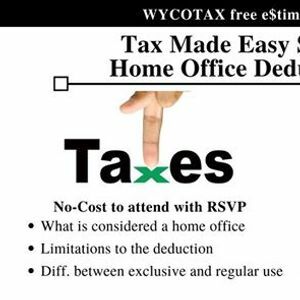 The Weslaco Area Chamber of Commerce invites you to a tax seminar series, presented by Wycotax free e$timax. 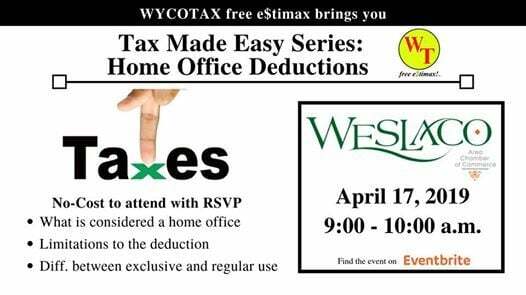 This is 1 of 4 workshop series that will be held every WEDNESDAY in April at the Weslaco Area Chamber of Commerce from 9-10 am! 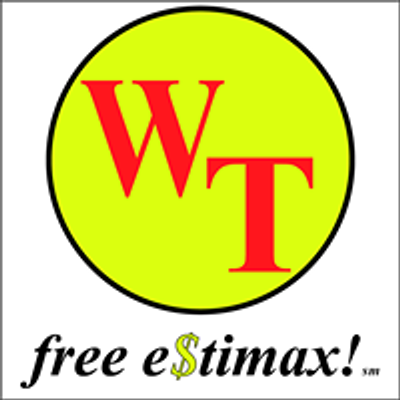 Get all of your tax questions answered at the end of the workshop by a tax expert!